WASHINGTON (Reuters) -- The U.S. Federal Trade Commission (FTC) filed a lawsuit against Volkswagen for falsely advertising that hundreds of thousands of its diesel vehicles were environmentally friendly, when the automaker knew the cars were emitting excess pollution. The FTC, a U.S. government agency that works to prevent fraudulent business practices, said U.S. consumers suffered "billions of dollars in injury" as a result of VW's deception. The FTC is seeking a court order requiring Volkswagen to compensate U.S. consumers who bought a polluting vehicle and an injunction to prevent future similar conduct by the automaker. The FTC said VW's claims that the cars were "low-emission, environmentally friendly, met emissions standards and would maintain a high resale value" were false. It said the vehicles involved sold for an average price of approximately $28,000. 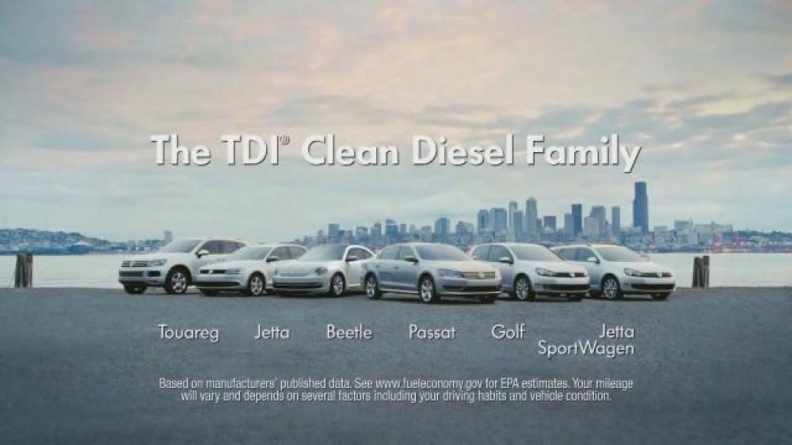 "For years Volkswagen's ads touted the company's 'Clean Diesel' cars even though it now appears Volkswagen rigged the cars with devices designed to defeat emissions tests," said FTC Chairwoman Edith Ramirez in a statement. The FTC said VW promoted its "clean" cars through a high-profile marketing campaign that cost tens of millions of dollars that included Super Bowl ads, online social media campaigns and print advertising, "often targeting environmentally conscious consumers." VW has admitted to using undisclosed software that allowed 580,000 diesel vehicles in the U.S. built since 2009 to emit up to 40 times legally allowable pollution. VW spokeswoman Jeannine Ginivan said the automaker has received the FTC complaint and "continues to cooperate" with all U.S. regulators. "Our most important priority is to find a solution to the diesel emissions matter," Ginivan said. The Justice Department sued VW for up to $46 billion in January for violating environmental laws and VW faces more than 500 civil lawsuits related to excess emissions, along with suits from some U.S. states. Last week, a federal judge set an April 21 deadline for VW to come up with a remedy for the vehicles. VW has an ongoing internal investigation to determine who at the automaker knew of the diesel cheating. VW remains in talks with the U.S. Environmental Protection Agency, California Air Resources Board and Justice Department over the terms of a settlement. U.S. District Judge Charles Breyer and lawyers for the government and VW said last Thursday that the sides had made "substantial progress" toward a settlement.